If Britain leaves the European Union, it's likely to be because of immigration. The issue is more important than the economy for most voters in Thursday's referendum, polling firm Ipsos Mori says. And more than 50% of voters who plan to back a British exit (Brexit) from the EU cite migration as the main reason. 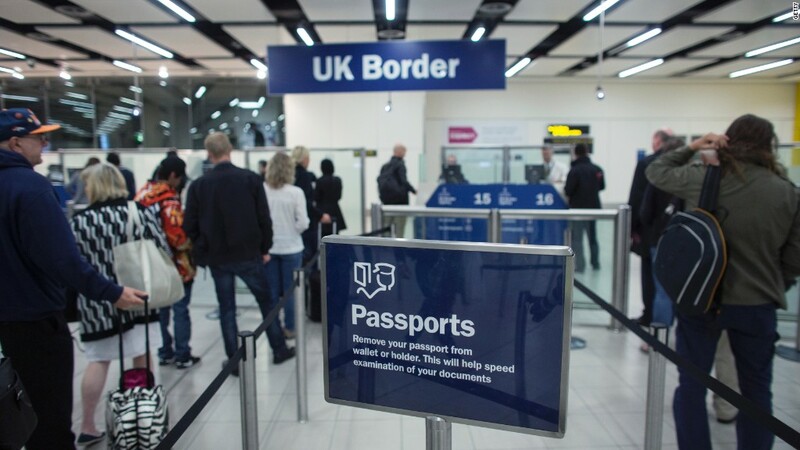 Overall net migration hit a record 333,000 in 2015. That figure has exceeded 100,000 every year since 1998. Communities have been transformed, and housing and public services stretched. Britain can limit immigration from outside the EU, but can't stop people from 27 EU countries coming to the U.K., since freedom of movement is one of the central pillars of the EU. Those campaigning against Brexit acknowledge they can't turn EU migrants away, but argue that they make a vital contribution to the U.K. Some 10% of registered doctors, for example, come from other EU countries. So do Britain's 3 million EU migrants contribute more to the economy than they take out? There are no official government numbers on that, but academic research shows that EU migrants are more likely to make a net contribution to the U.K. than migrants from outside the EU. For a start, about 1.9 million of the EU-born migrants in the U.K. -- 63% -- are working, according to the Oxford Migration Observatory. That's a higher ratio than the population as a whole. The U.K. Office for Budget Responsibility said in 2013 higher net migration would reduce pressure on government debt over time -- because incoming migrants are more likely to be of working age than the population in general. According to a study by University College London, immigrants who arrived from the EU after 2000 contributed £1.34 to the U.K. economy for every £1 they took out. The study analyzed data from 2001 to 2011, looking at the difference between taxes and other contributions migrants make to public finances, and the costs of the services and public benefits they receive, such as free healthcare and tax credits. "Immigration to the UK since 2000 has been of substantial net fiscal benefit," said Christian Dustmann, one of the authors of the study. "This is true for immigrants from central and eastern Europe as well as the rest of the EU." Recent EU migrants tend to be younger than those who have been in the U.K. for longer, which means they are more likely to work than depend on welfare benefits, according to the research. But the picture is more complicated than that. The UCL study found that immigrants from eastern European countries contributed £1.12 for every £1 received. Those from the rest of the EU put in £1.64 for every £1 taken out. And when EU migrants who arrived in the country before the millennium are taken into account, the overall contribution falls to £1.05 for every £1 received.